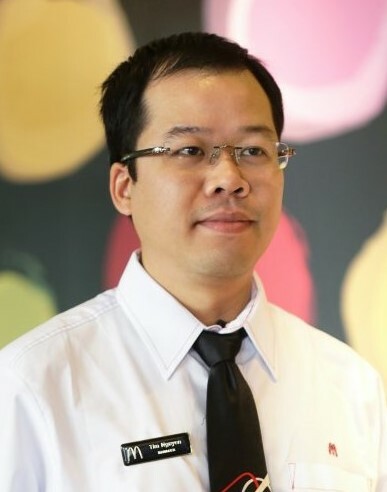 Mr. Nguyen Huy Thinh, General Manager of McDonald's Vietnam, tells VET about its performance and use of digital technology. Can you tell us about McDonald’s Vietnam’s business performance at this time? McDonald’s has been in Vietnam since February 2014. Five years later it has 18 restaurants in Ho Chi Minh City and Hanoi. Growth is nearly 40 per cent per year, which is an impressive number in the industry. How does the development of the digital economy affect Vietnam’s food and beverage (F&B) industry in general and McDonald’s in particular? The digital economy and technological benefits have comprehensively changed shopping and consumption habits. For F&B customers in general and McDonald’s in particular, this change is found from ordering, payment, service, and customer care to how customers evaluate brands. If they don’t want to be left behind, businesses must innovate to adapt to the challenges. With McDonald’s, a spirit of being “Customer Obsessed” is considered a core value and of prime importance. How is McDonald’s using technology in its business in Vietnam? What are its strengths in doing business in the country? People talk a lot about Industry 4.0. For McDonald’s, this is reflected in the EOTF (Experience of the Future) standard. As a special feature, EOTF is not only about technological standards but also quality standards for people and services, which account for 35 per cent of the standards. The application of technology (automated sales kiosks, integrated payments, mobile apps for order and payments, and table locators) has provided convenience to customers while helping employees spend more time with customers, creating close relationships between McDonald’s and its customers. Therefore, a companion of EOTF is new services and new people with new roles, typically Guest Experience Lead (GEL), a term that currently does not have an equivalent in Vietnamese. According to McDonald’s, this revolution includes elements of hardware as well as “heartware”. When lacking this second element, technology is just lifeless machines. This is also a strength and a core value of McDonald’s, as those who have worked with such a system like Amazon CEO Jeff Bezos have learned, and automates production processes combined with the best in customer service. A GEL staff (Guest Experience Lead) helps customers order via SOK (Self-Ordering Kiosk) at McDonald's Vietnam. In the development of Vietnam’s digital economy, what challenges does McDonald’s Vietnam face and what is being done to overcome them? We are only in the early stages of the revolution. In order to have a digital economy, we need a solid electronic payment infrastructure and an e-commerce platform in a non-cash society. It is difficult to change consumption habits. While McDonald’s restaurants in some countries with payment counters have been completely replaced by automated sales kiosks, and some locations are testing drones for McDelivery service, in Vietnam, the card payment rate is only about 12-13 per cent and many POS machines do not meet the monthly minimum card transaction target of the bank, causing investment waste. McDonald’s also supported QR Code payment services for more than two years but the number of transactions has been very limited. McDonald’s has only been in Vietnam for five years and has fewer than 20 restaurants in Hanoi and Ho Chi Minh City. Many customers may be confused when they first experience the new and exciting services that McDonald’s offers, such as Drive-Thru, Self-Ordering Kiosks, and “self-swipe” card payments. However, the company remains determined that this is a long-term investment period to build the McDonald’s brand into a global “modern, progressive burger company”. Therefore, the EOTF process that McDonald’s Vietnam is pursuing will be the total solution to bring a full experience and best services to customers. This is also the McDonald’s image it is building in Vietnam. What are McDonald’s Vietnam’s specific plans for business development as the digital economy grows? McDonald’s Vietnam is deploying the EOTF solution and has set a target of 100 per cent of restaurants meeting EOTF 1.0 standards by the end of the third quarter of this year. The next step in the EOTF solution, EOTF 2.0, is Personalization, helping McDonald’s better understand each customer in specific cases. Contrary to the idea of many people that the society of the future will be marked by loneliness and a lack of human interaction, McDonald’s aims to build a friendly home. McDonald’s still considers people and service as the heart of every action. 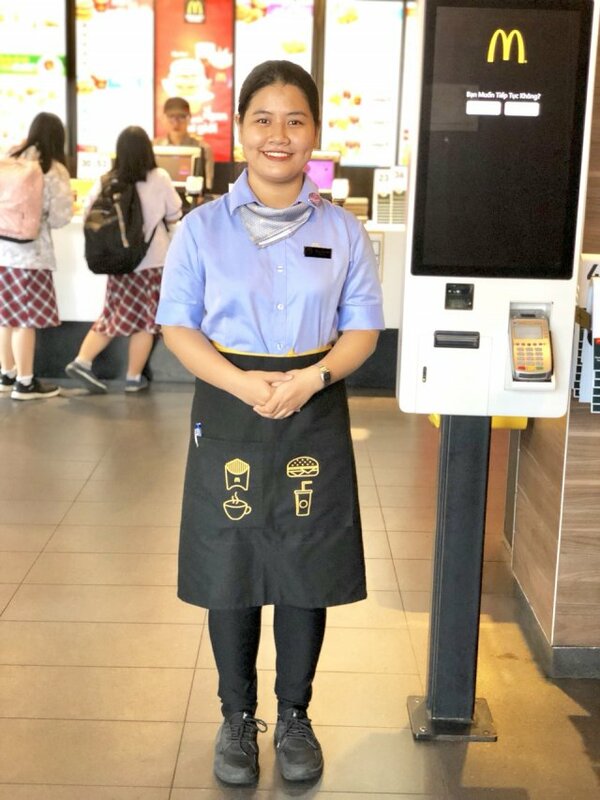 Therefore, in addition to EOTF, McDonald’s Vietnam also aims to implement the Hospitality Culture Reshape program, and in every employee of McDonald’s Vietnam is MCDJ (Mindfulness, Compassion, Drive, Joy). According to Founder Ray Kroc, “McDonald’s is a people business”. That will never change.